The intention behind the programme is to expose the students to key focus areas around sustainability within the industry, and to also introduce industry to new talent. To this end, the programme provides students with an opportunity to work with leading green building thinkers in Greenovate workshops, to encourage students to learn about green building and sustainability early on in their careers in order to enter the market as advocates for green building with a passion for creating more sustainable cities. It’s great to see that students are interested in environmental issues affecting their future sector – the property and construction industry. These students are going to make a difference in the industry, which will benefit our planet for future generations. A total of eight universities competed for the Greenovate Awards and the inaugural Greenovate Engineering Award in 2017. The awards were concluded with a Gala Dinner attended by many property and green building industry professionals. 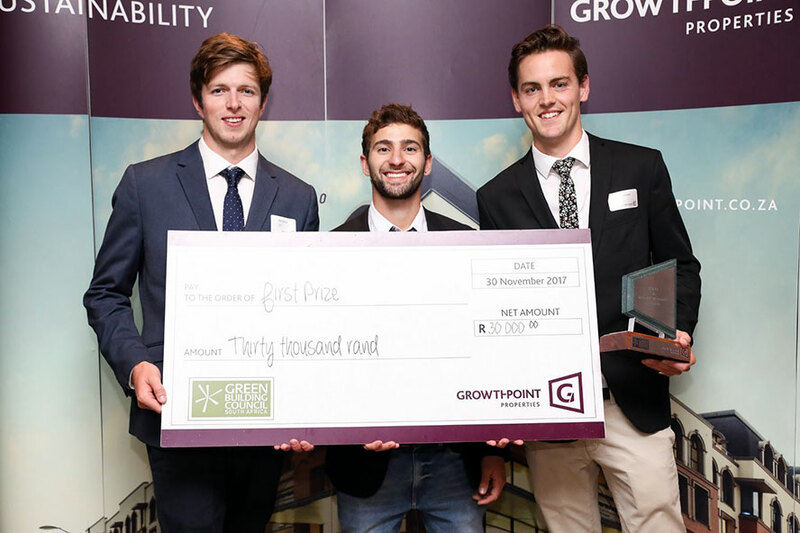 UCT team of Mark McCormick, Daniel Navarro and Nicholas Tennick, supervised by Karen Le Jeune, won the Greenovate Awards 2017 with an entry entitled “Upgrading existing medium-density residential buildings with strategic green building features and initiatives holds the key to increasing affordable housing in Cape Town”. 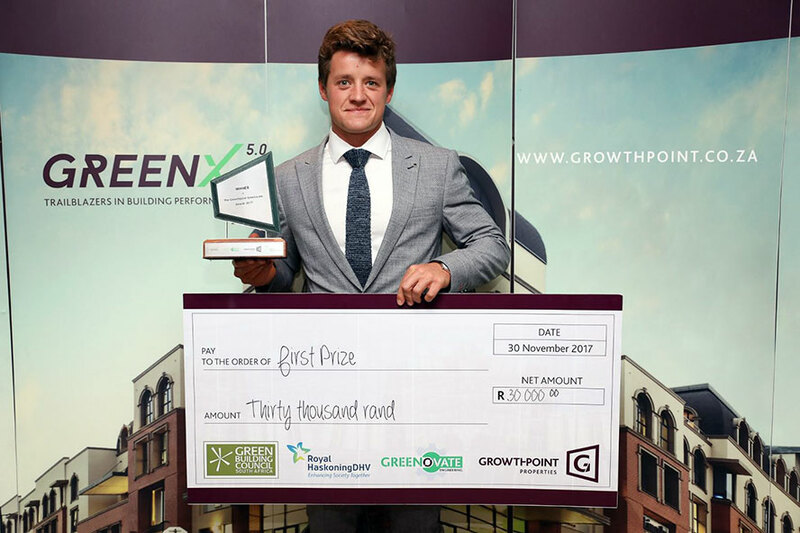 UCT student, Craig Peter Flanagan, supervised by Dr Dyllon Randall, took top honours for the inaugural Greenovate Engineering Award, with an on-site nutrient recovery urinal for buildings. For more information, please visit the Greenovate Awards.